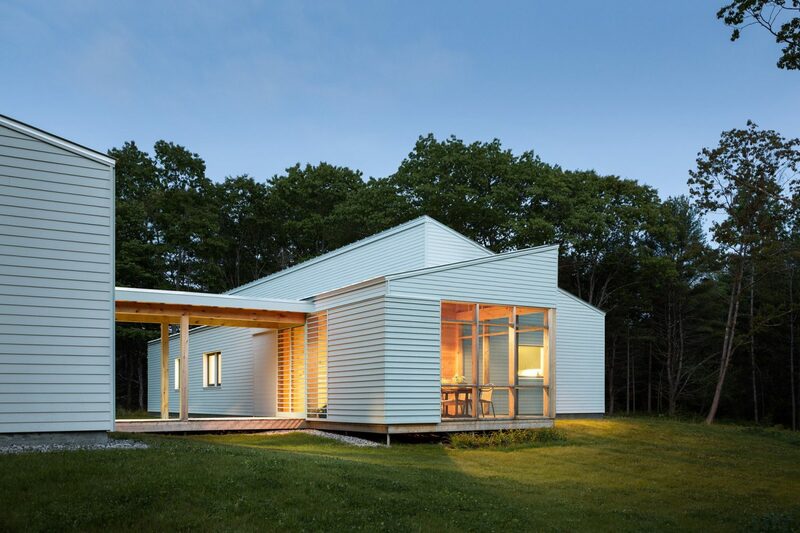 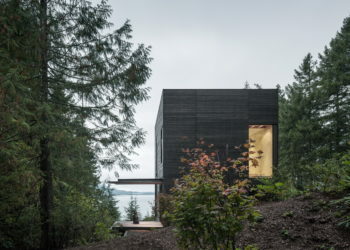 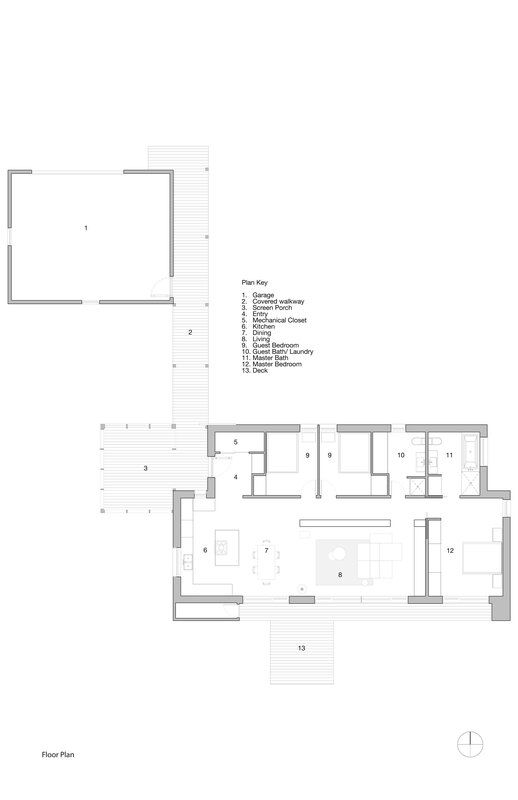 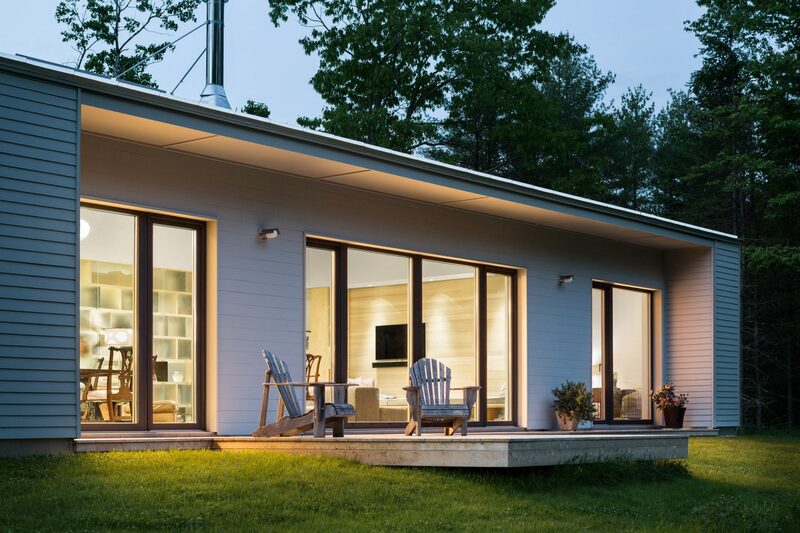 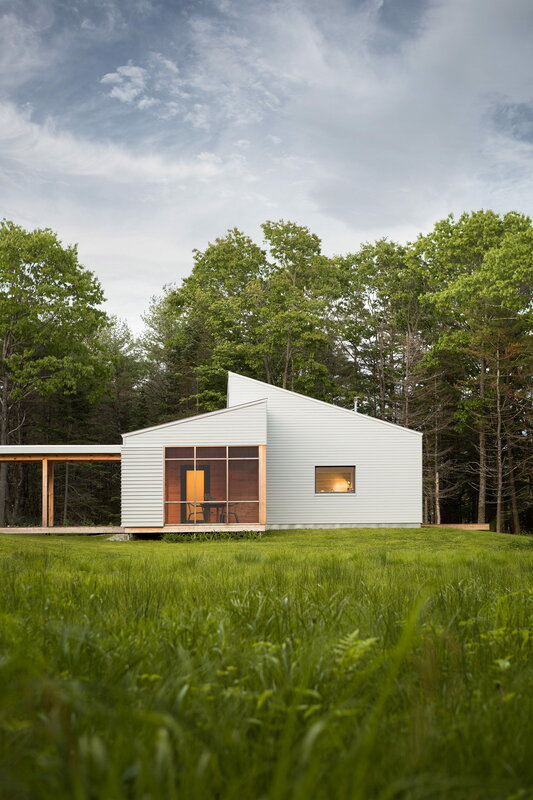 Cousins River Residence is a three-bedroom private residence, designed by GO Logic in 2014. 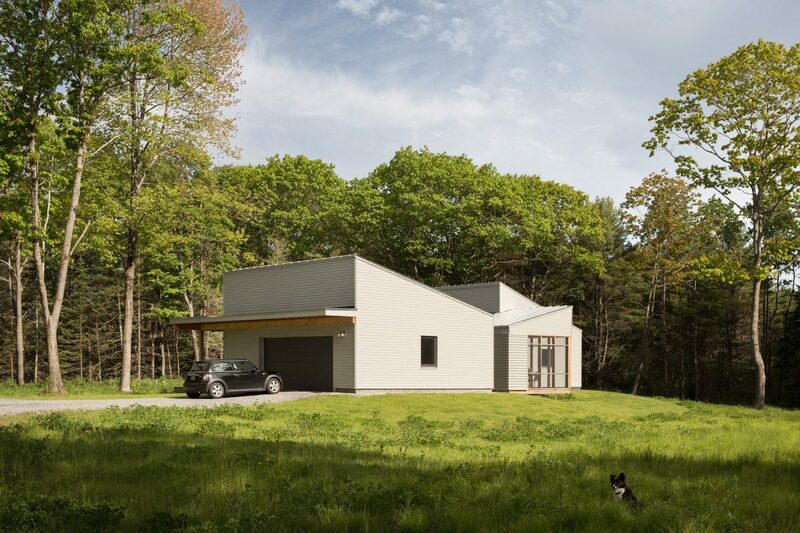 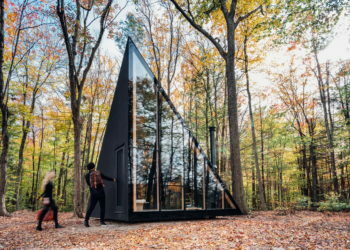 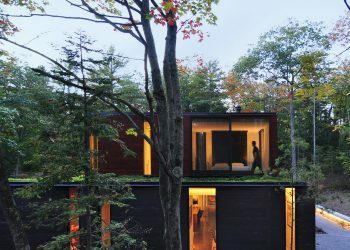 Located in southern Maine, USA, the home overlooking the Cousins River measures 1,600ft² (149m²). 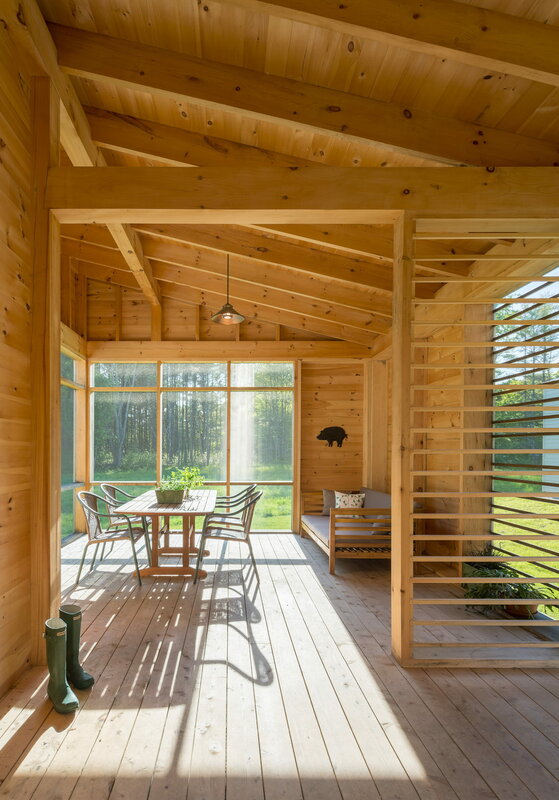 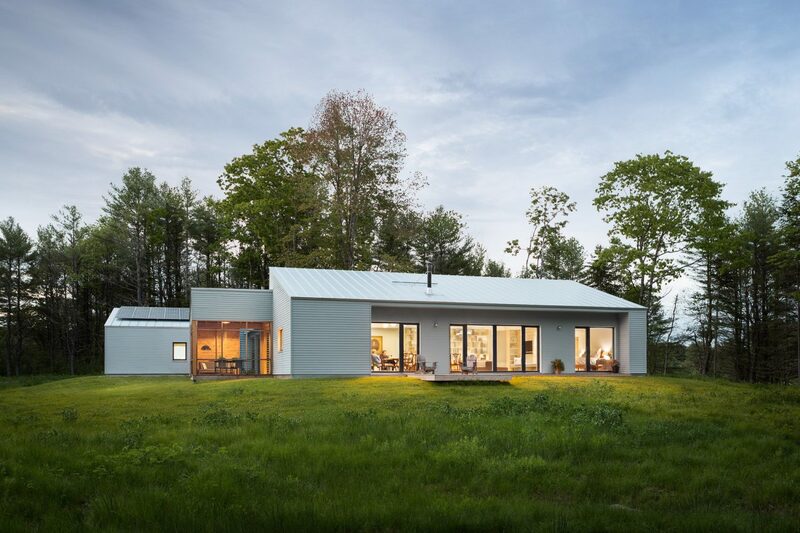 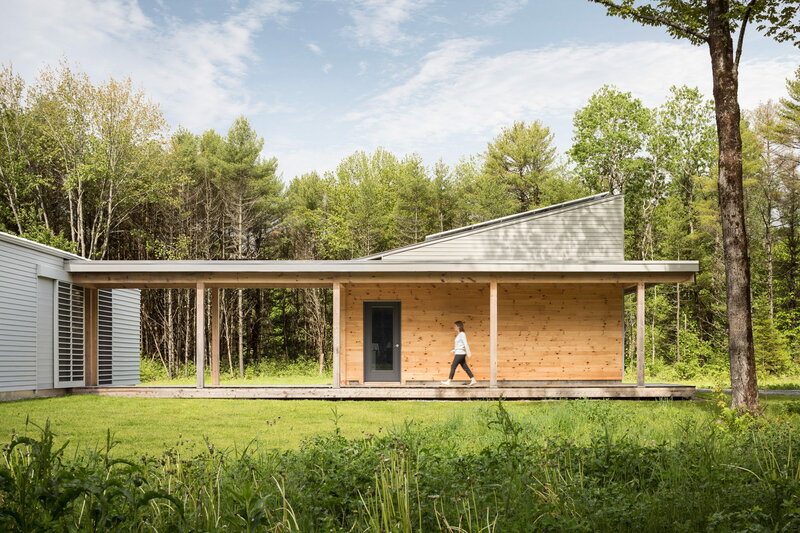 The main house comprises a simple bar, oriented to take advantage of pine forest views, natural daylighting, and solar gain. 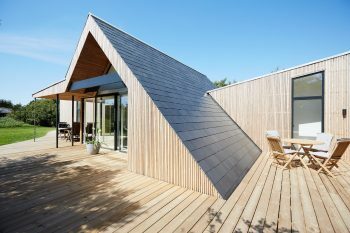 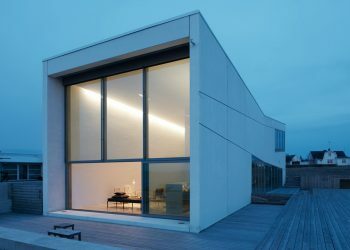 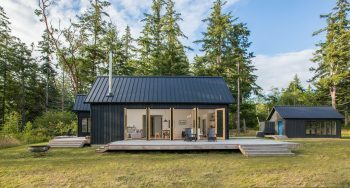 Common spaces and the master bedroom rise to a sloping shed roof and open to the south via a glazed wall that is deeply recessed to provide shading from high-angle summer sunlight. 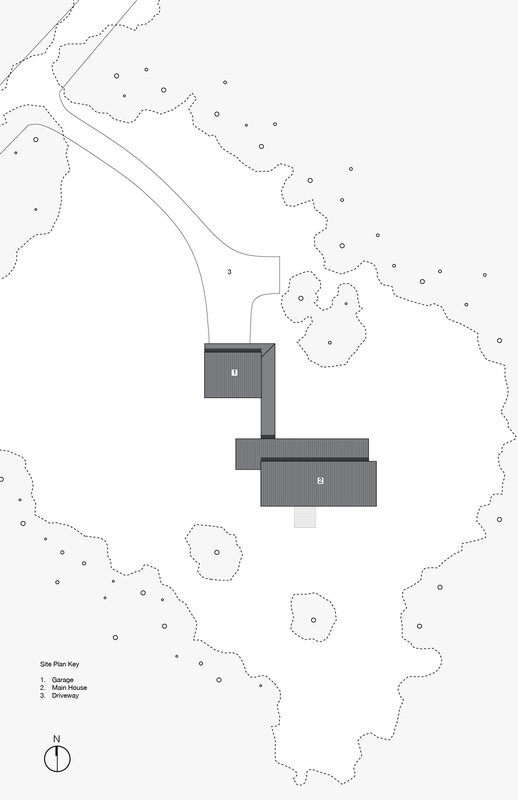 The entry, secondary bedrooms, and bathrooms line the north side of the building under a lower, opposing shed roof. 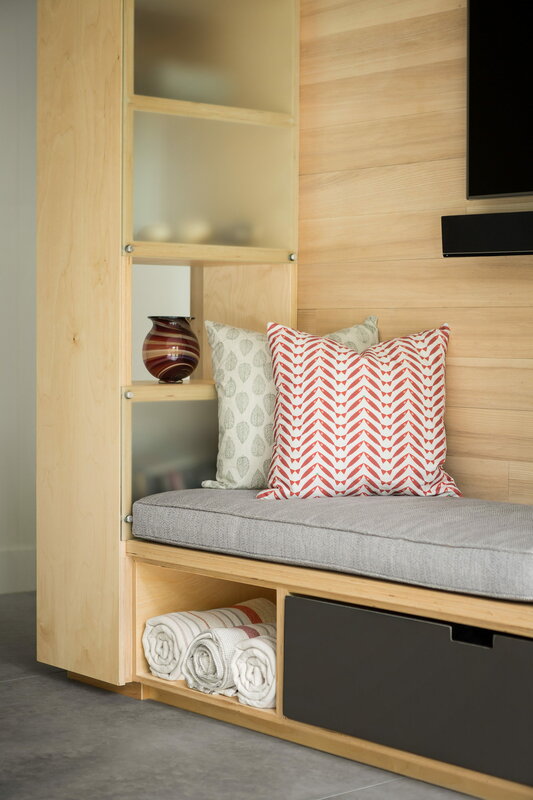 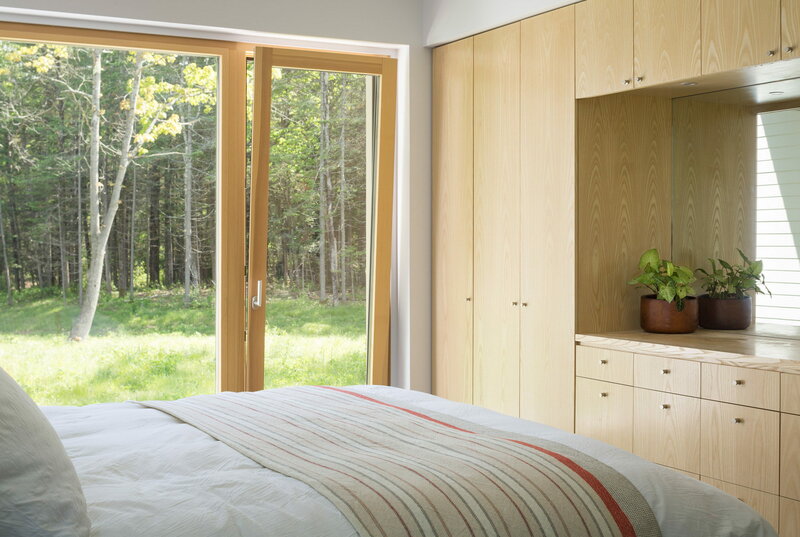 Custom casework in ash and Baltic birch—including a built-in day bed in the living room and clothing cabinetry in the bedrooms—provides efficient storage and spatial separation in the open plan. 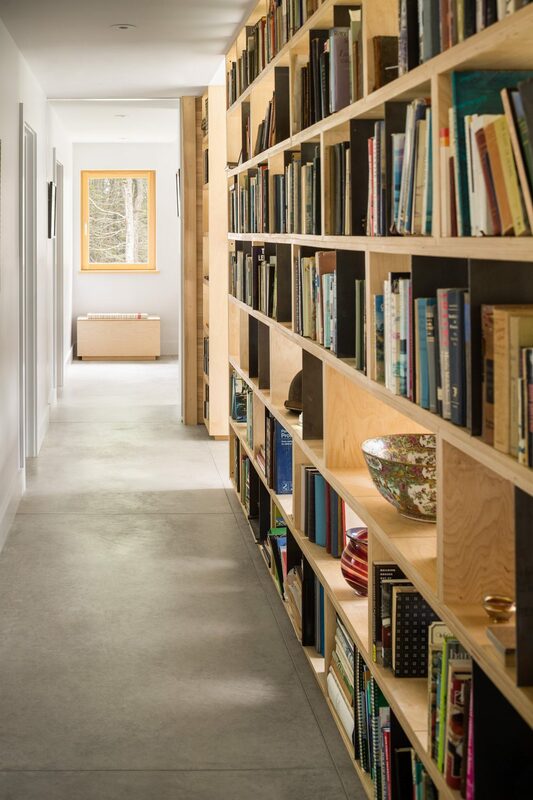 A bookcase backed with etched glass panels divides the bedroom hall from the living room space, admitting south light deep into the house. 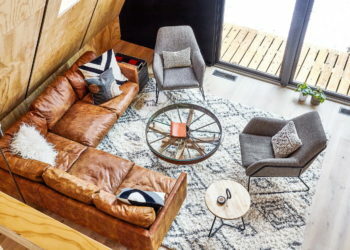 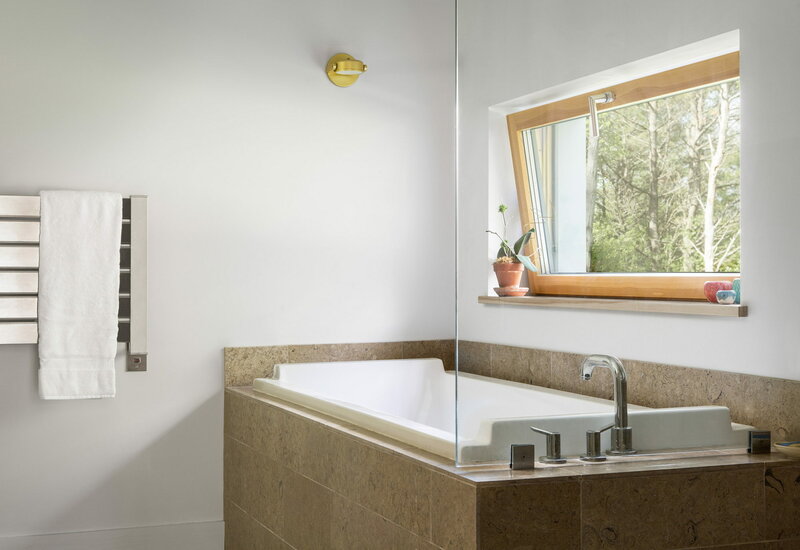 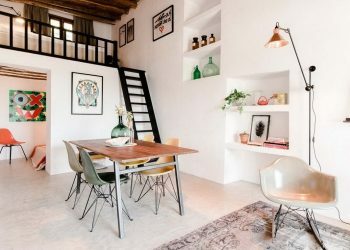 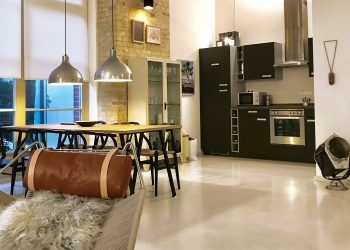 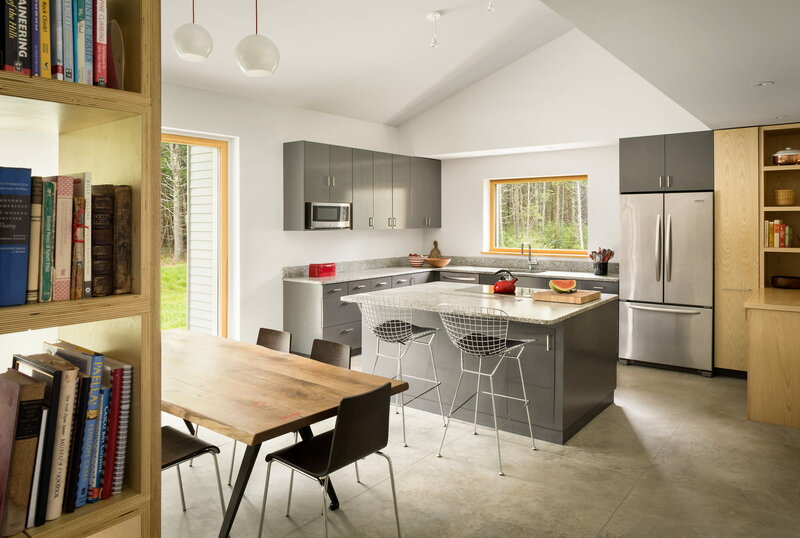 Along with the open interior, the exposed concrete floor is a critical component of the home’s energy performance, helping to maintain stable interior temperatures throughout the year.